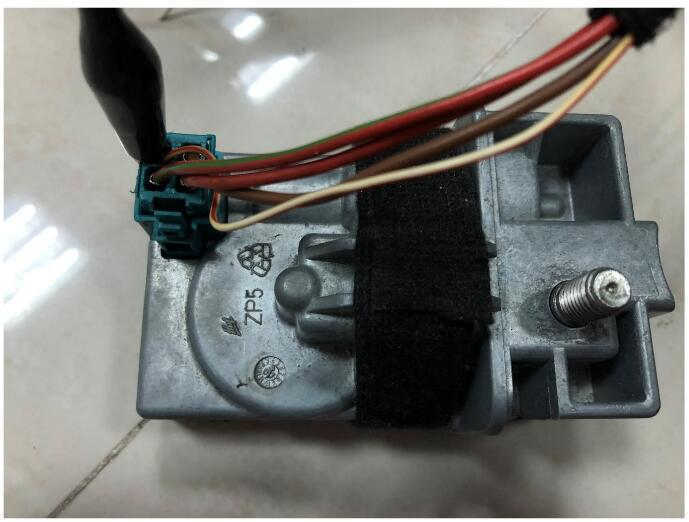 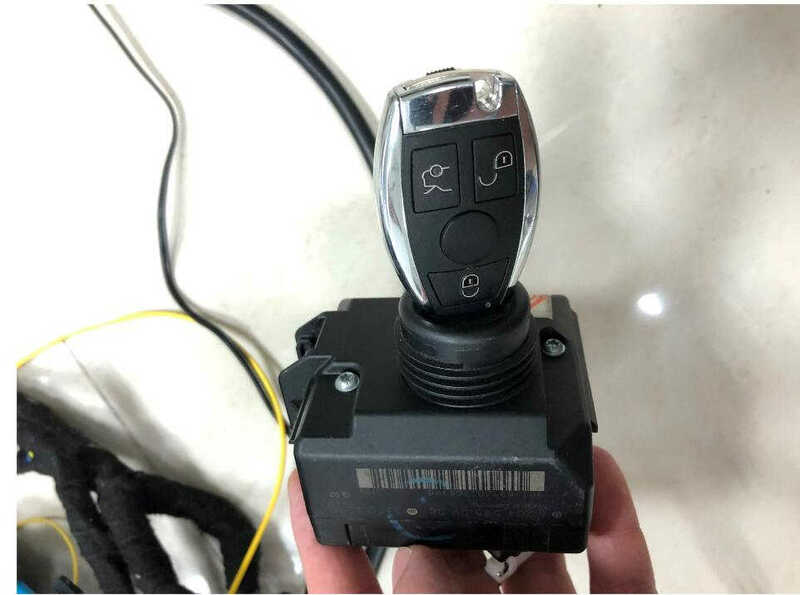 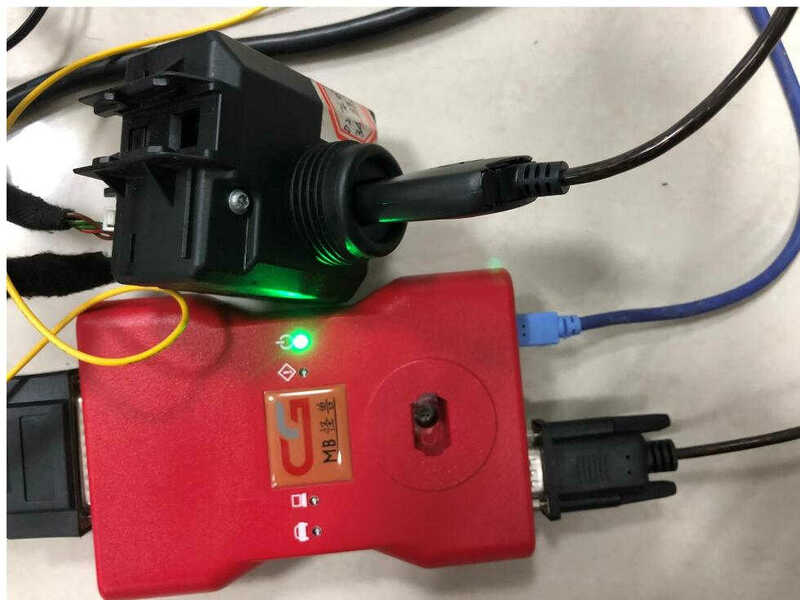 I wrote a article on Benz ELV repair guide before: 2 Ways To Repair Benz ELV/ESL Steer Lock Problem.You need to remove the NEC chip then use VVDI MB Tool to restore the damaged data.Now here I introduce another device (CGDI MB Prog) to repair Benz ELV trouble by OBD port. 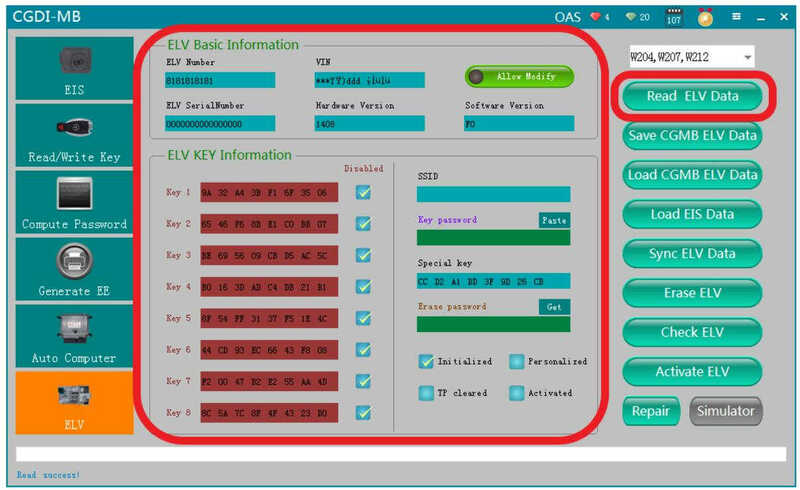 Step 1:Determine if the ELV motor work correctly. 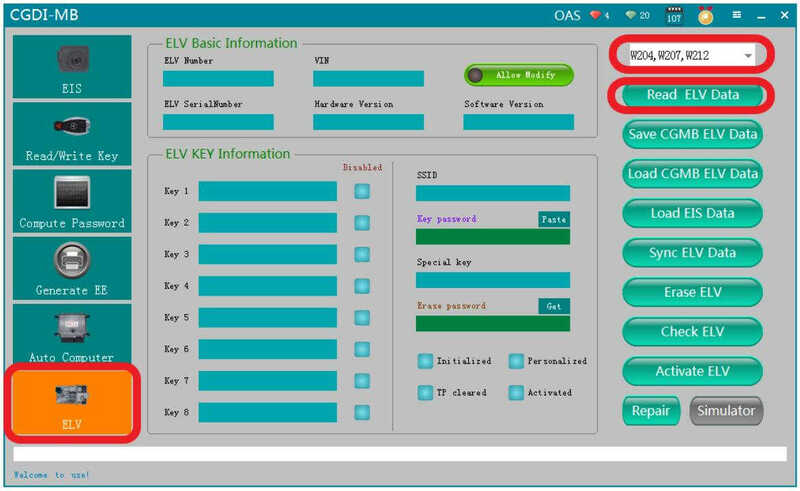 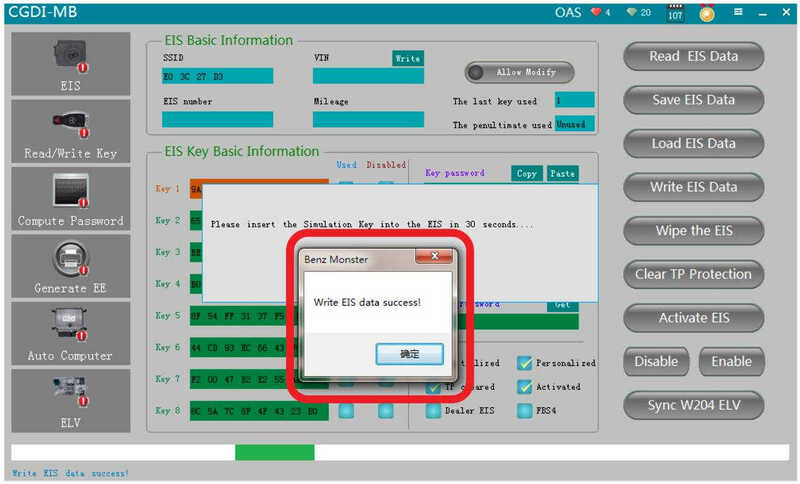 The software will show the ELV information after data reading successfully. 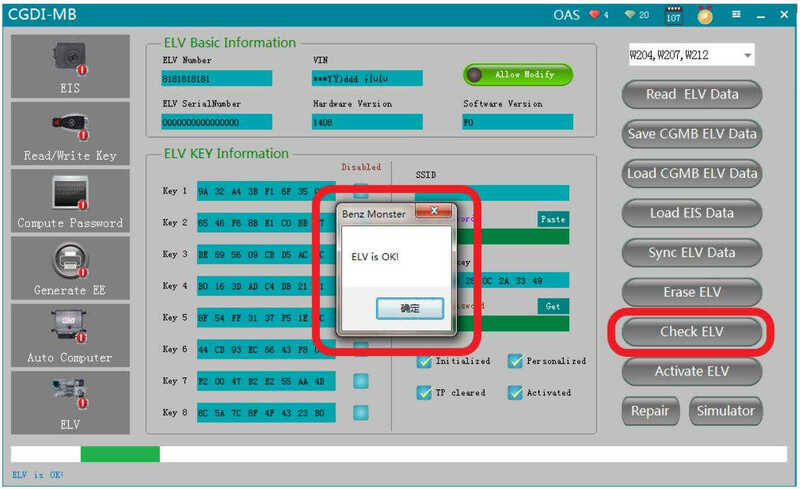 Then click “Check ELV”,if the ELV is work,it will prompt “ELV is OK!”.If the ELV is damaged (motor trouble),you need to replace a ELV motor or replace it by ELV emulator. 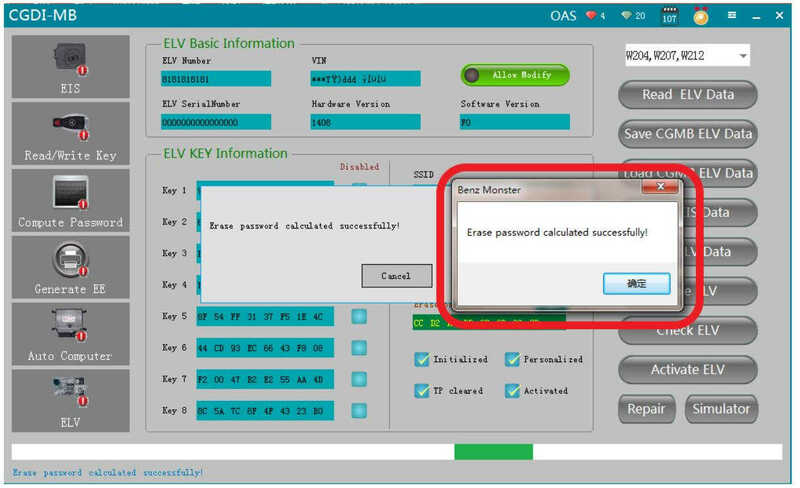 Then according to the software to operate,you will get the IMMO password. 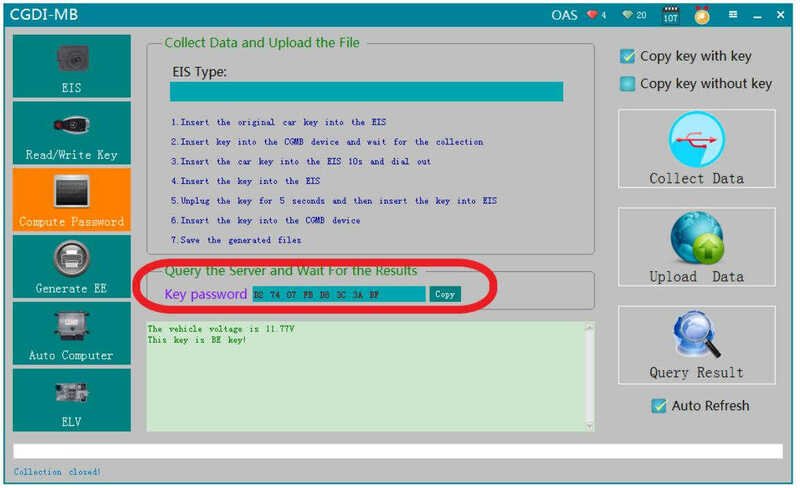 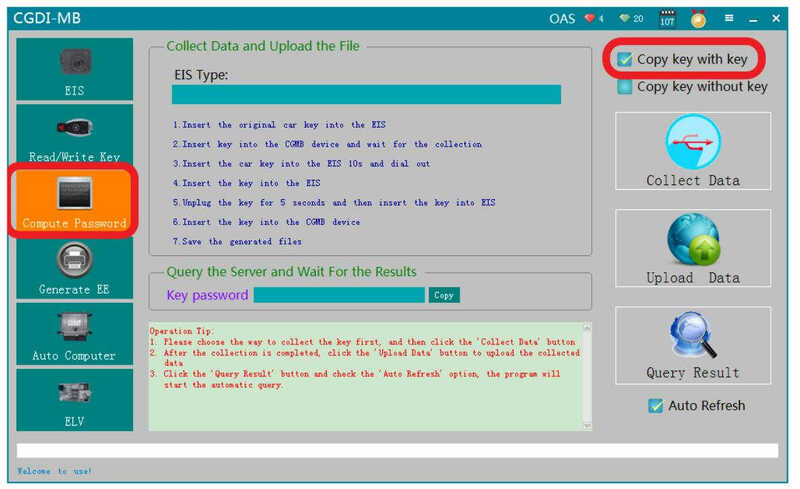 Then click “Load EIS Data” to load the EIS data you save before. 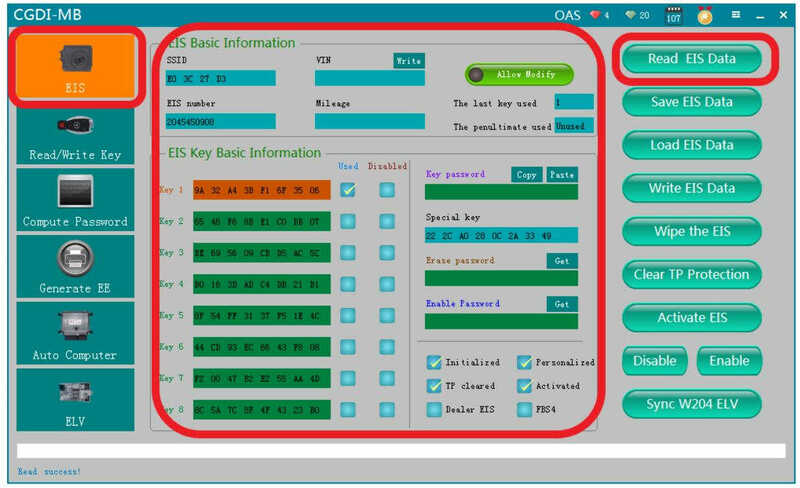 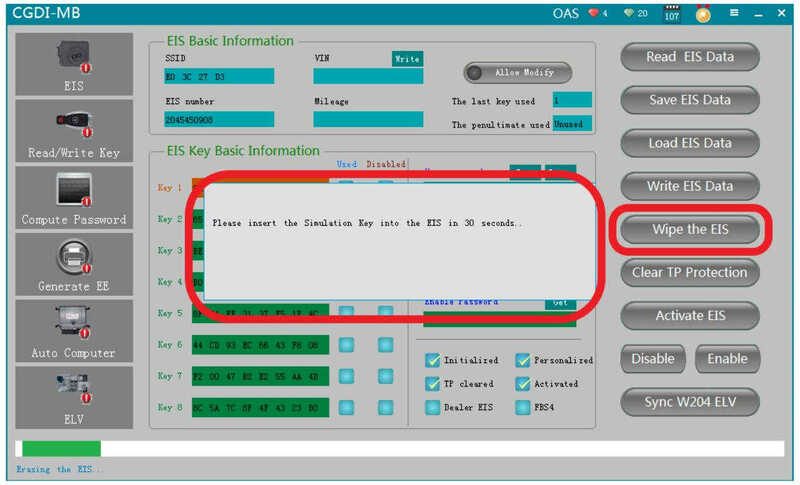 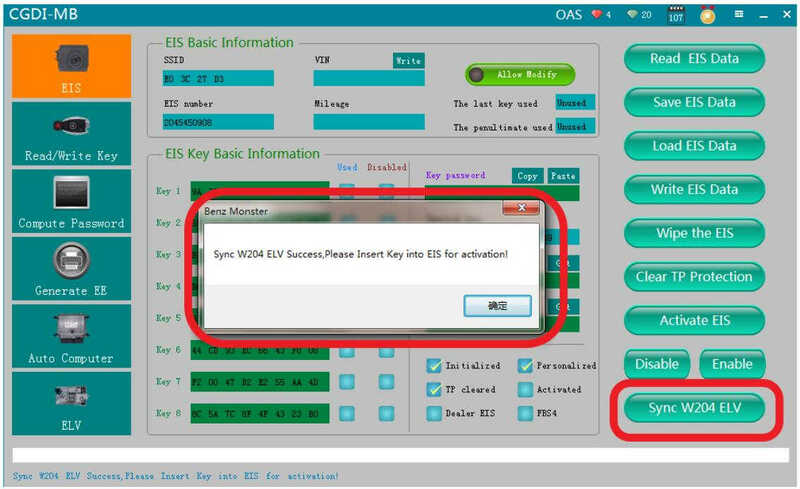 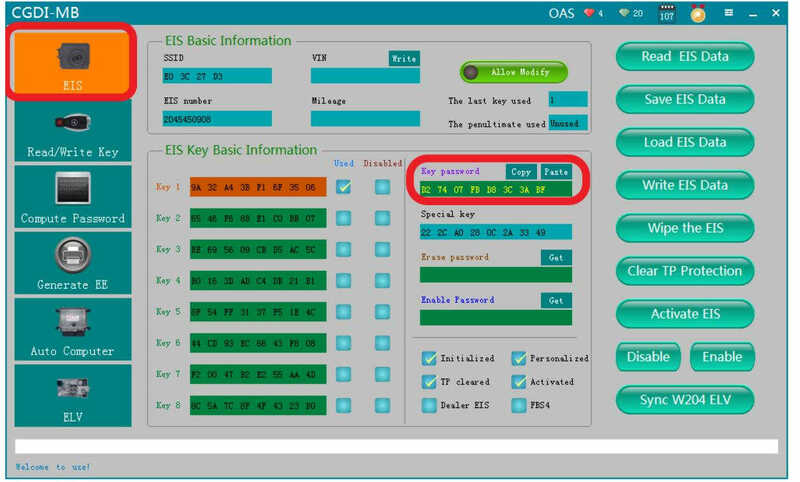 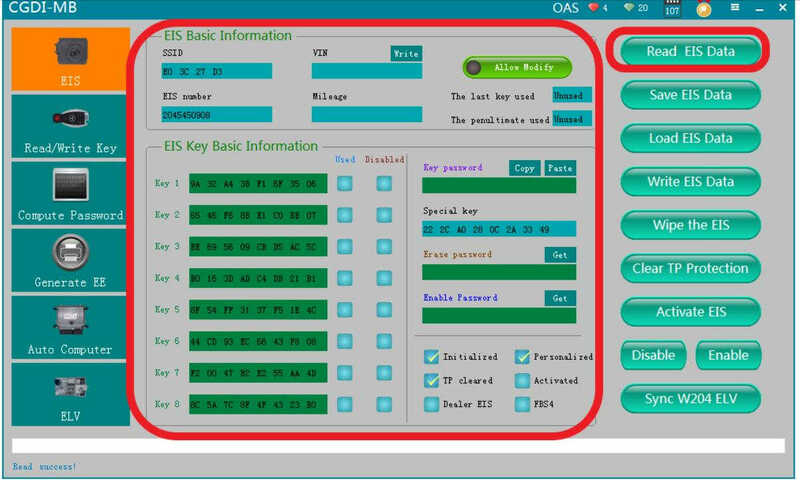 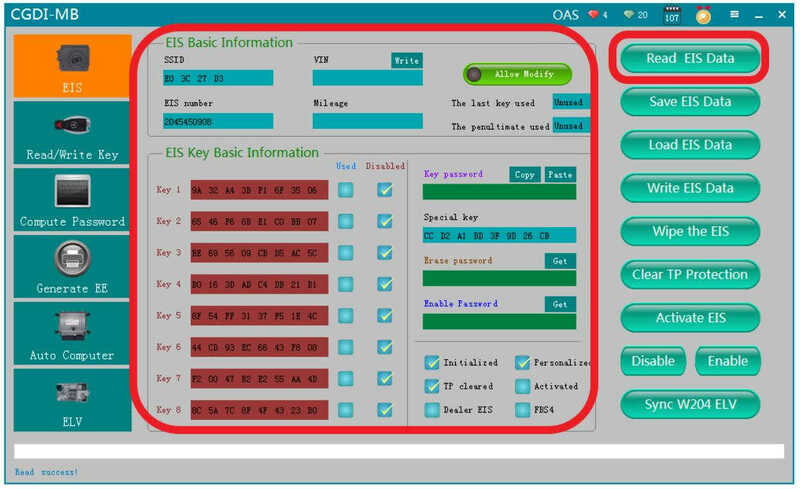 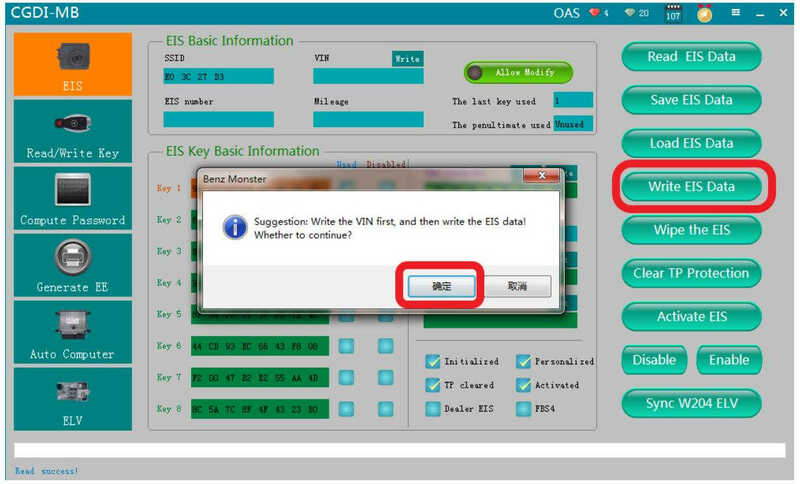 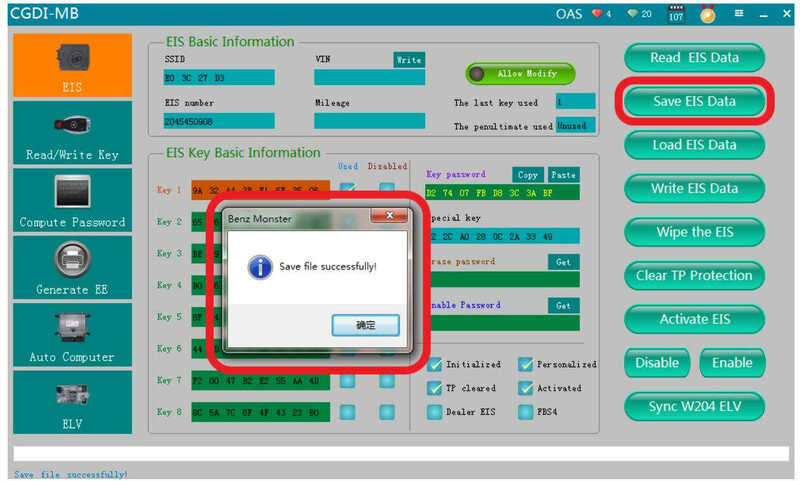 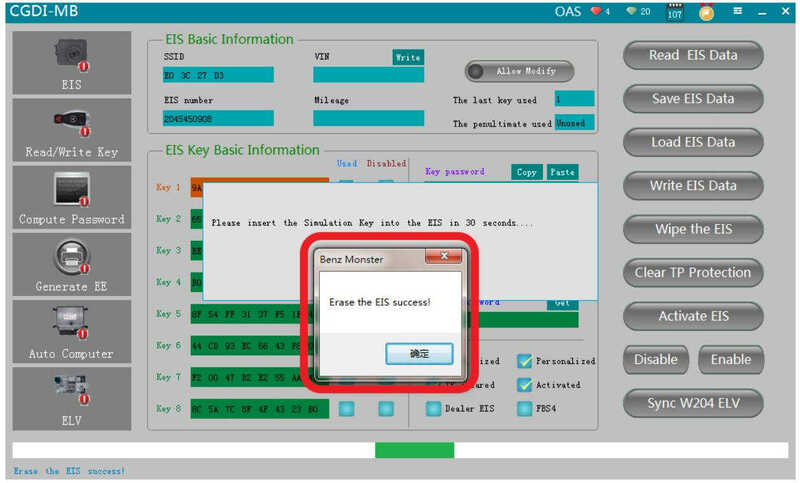 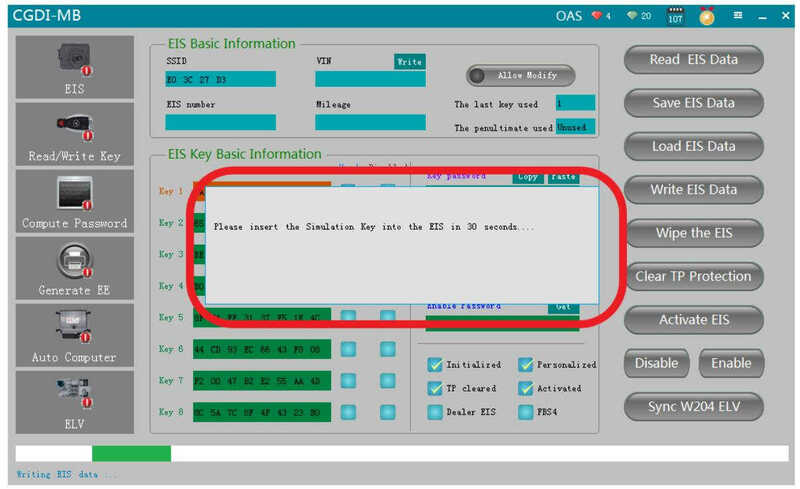 Follow the software to insert the simulation key into the EIS about 30 seconds. 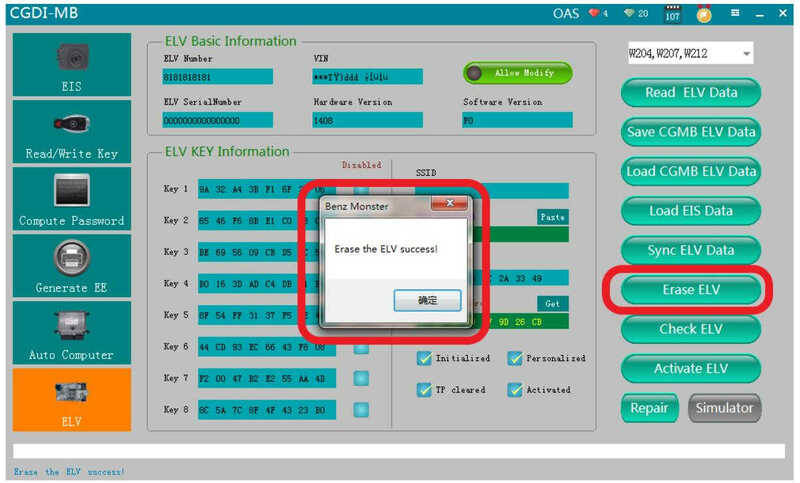 After activation successfully,the ELV will work correctly. 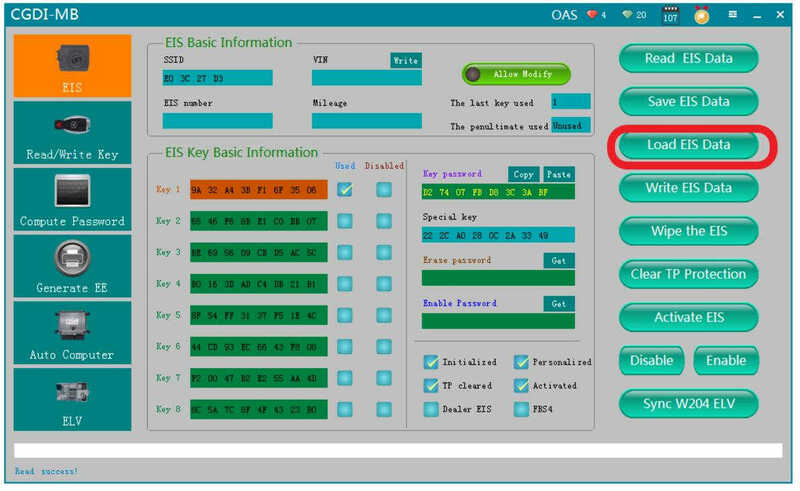 Quickly tell ECU trouble, ECU alternative method Notes!